Introduction to Carbon Science deals with various aspects of carbon science, from polymer science and prosthetics to crystallography, carbonization, spectroscopy, and surface science. Topics covered include the mechanisms of formation of isotropic and anisotropic carbons, physical properties of pitch relevant to the fabrication of carbon materials; kinetics and catalysis of carbon gasification; and porosity in carbons and graphites. Carbon fibers, cokes and composites, and coal to coke transformations are also discussed. 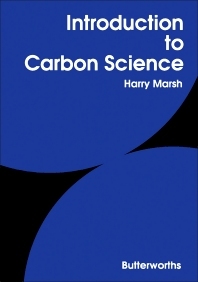 This book is comprised of nine chapters and begins with an overview of the basic structural features of carbon materials, along with definitions of the various carbon forms encountered in carbon science. The principal techniques for studying the structure of solid carbons are also considered. The reader is then introduced to the mechanisms underlying the formation of isotropic and anisotropic carbons; the physicochemical changes that take place when pitch is pyrolyzed to carbon; and kinetics and catalysis of carbon gasification reactions. The following chapters explore various types of porosity in carbons and graphites; manufacture, properties, structure, and applications of carbon fibers; and mechanical properties of cokes and composites. This text concludes by describing the conversion of coal to coke. This monograph will be of interest to carbon scientists, technologists, and engineers, as well as those entering the field of carbon science for the first time.